What’s better than salsa made from summer produce? Maybe salsa made from ingredients picked fresh from Brooklyn Botanic Garden’s Children’s Garden, plus one special, secret addition. 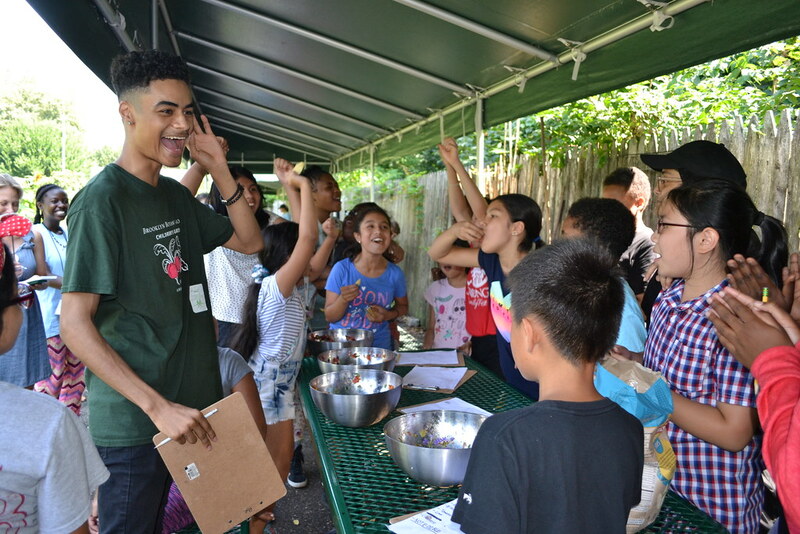 Teams of rising fifth through eighth graders in the Junior Botanist and Plant Investigator program competed to create the best salsa recipe using fruits and vegetables that they grew and harvested themselves in the Children’s Garden. Each team was also given a lime and one special ingredient from the local grocery store to enhance their recipe. This grizzly group of chefs chose a secret ingredient beloved by their namesake animal: blueberries. 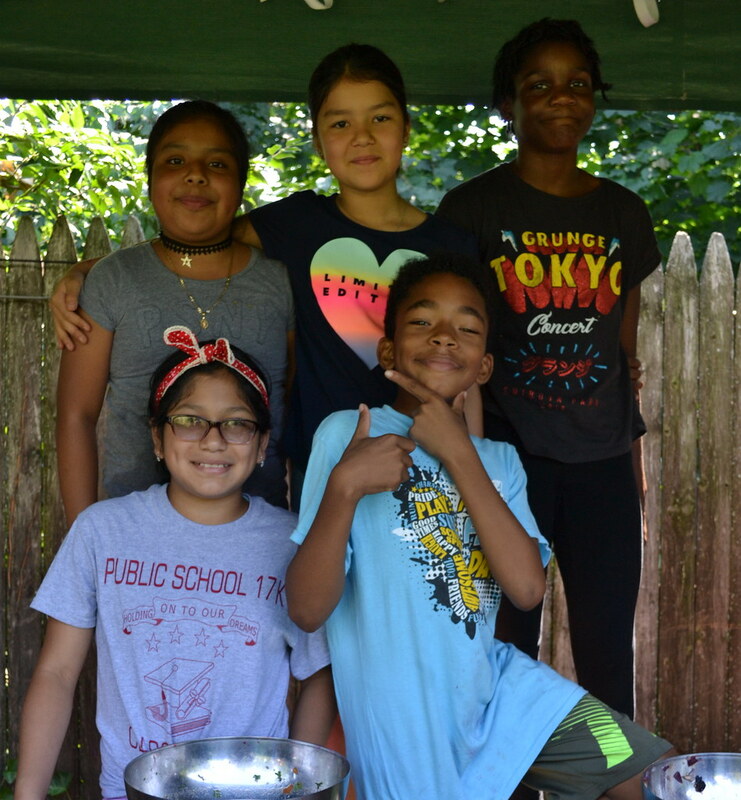 Their delicious salsa also included generous portions of large tomatoes and cherry tomatoes, along with chopped red onion, all harvested from the Children’s Garden. A little extra flavor came from a pinch of salt and the juice of one lime. 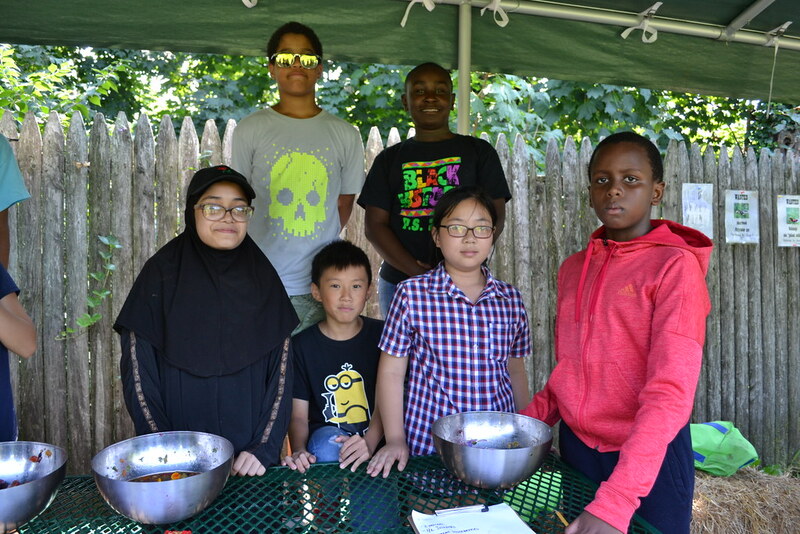 This team, named for the members’ initials, also included fresh-picked garden ingredients to make a tasty salsa: regular and cherry tomatoes, cilantro, blackberries, jalapeño, and nasturtium flowers, plus a pinch of salt. Their secret ingredient was pomegranate seeds. Cherries 4 Life based its recipe on “smart ingredients from the garden,” according to Wendy, team captain. This included a combination of regular and cherry tomatoes, raspberries, onion, cilantro, and jalapeño, as a well as a squeeze of lime. Chopped cherries, their secret ingredient, added a hint of sweetness. Described by a judge as “nice and fruity,” this team’s recipe relied heavily on the secret ingredient: peaches. The chefs made a sweet salsa using chopped peaches, squeezed blackberries, chopped tomatoes, cilantro, lime juice, salt, pepper, and a bit of jalapeño. A panel of 14 judges chosen from BBG’s staff and the Garden Apprentice Program tasted each salsa and voted for their favorite. 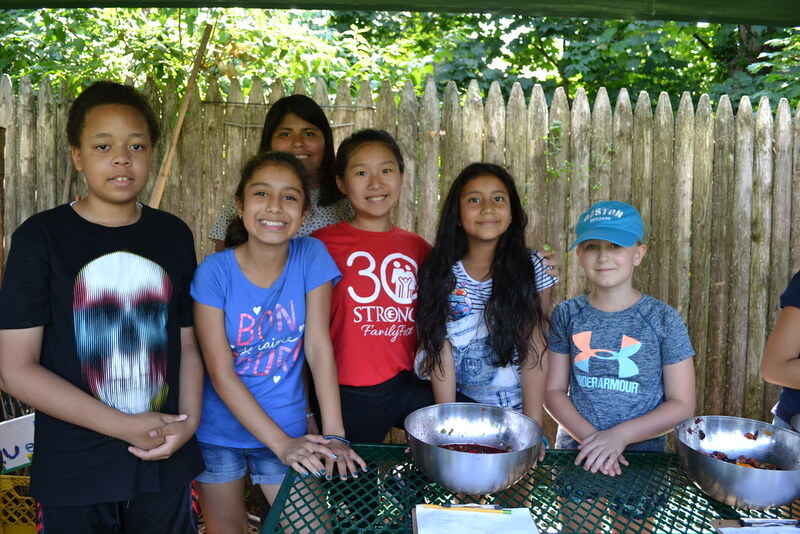 Wendy credits her group’s success to “good teamwork,” plus the addition of fresh raspberries. The complete recipe is below. 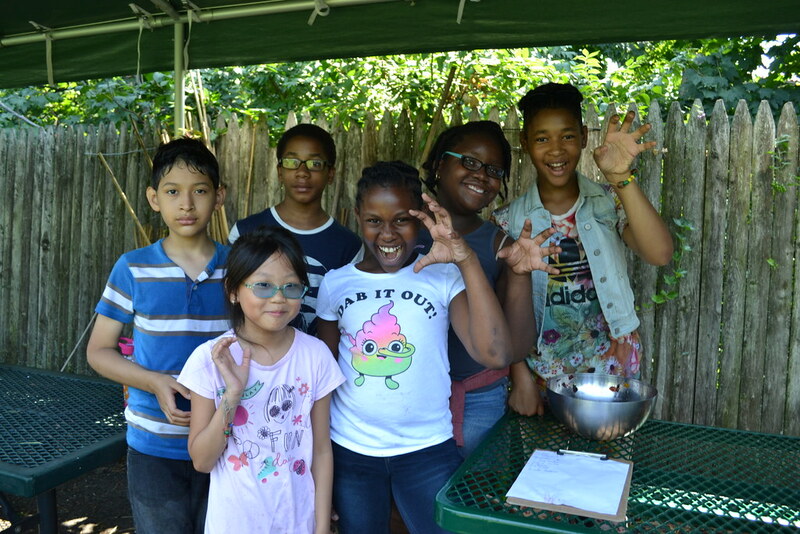 Junior Botanists and Plant Investigators are chosen from schools that participate in BBG’s Project Green Reach program. Students must be nominated by their teacher on the basis of their interest in botany and science. 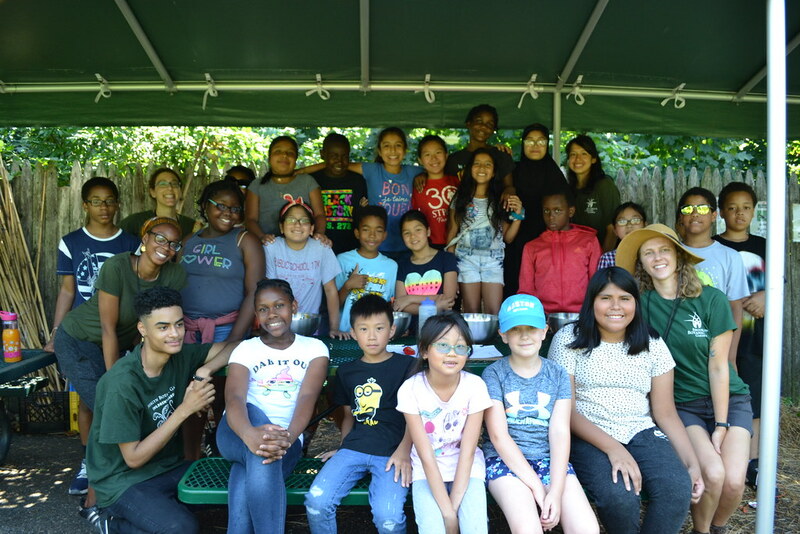 This year’s group has been working all summer on gardening, hands-on science, and botany activities in the Children’s Garden, with time out for an overnight camping trip. Toss all ingredients in a large bowl, taste, and adjust seasoning for sweetness and heat. Enjoy with chips. The experience of growing your own fruits and vegetables in a city garden is excellent. The culminating activity added to the fun; furthermore they didn’t have to travel far to enjoy it all! Congrats to all the participants!